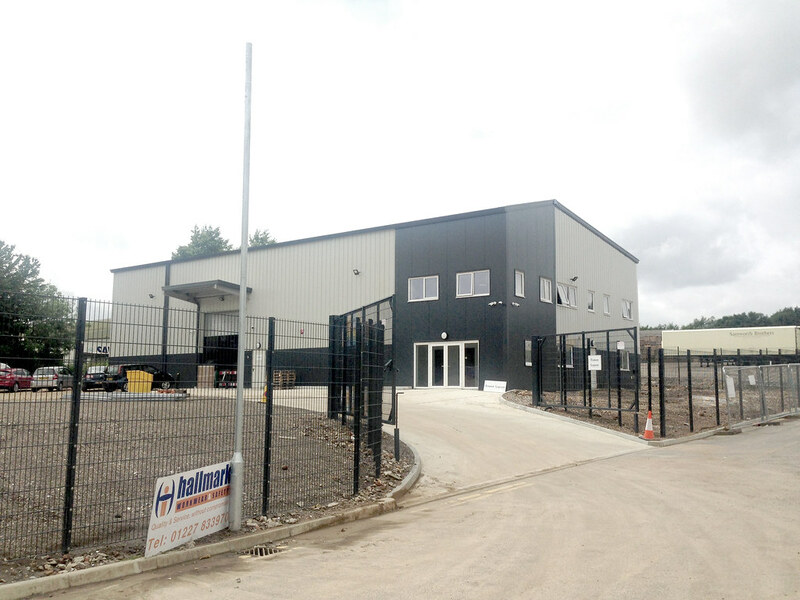 A new warehouse and office building for Hallmark Workwear and Safety. 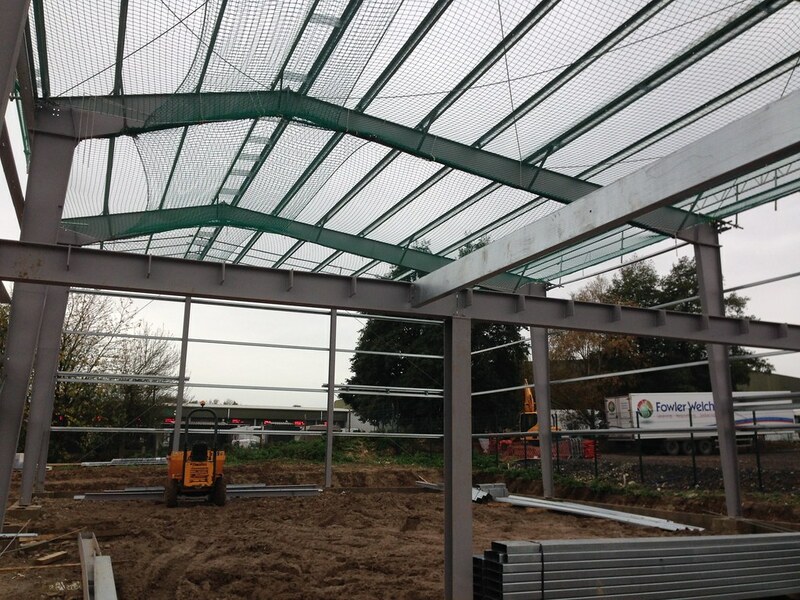 The new building is located on Canterbury Business Park, outside Bridge, only a few miles from their previous premises. 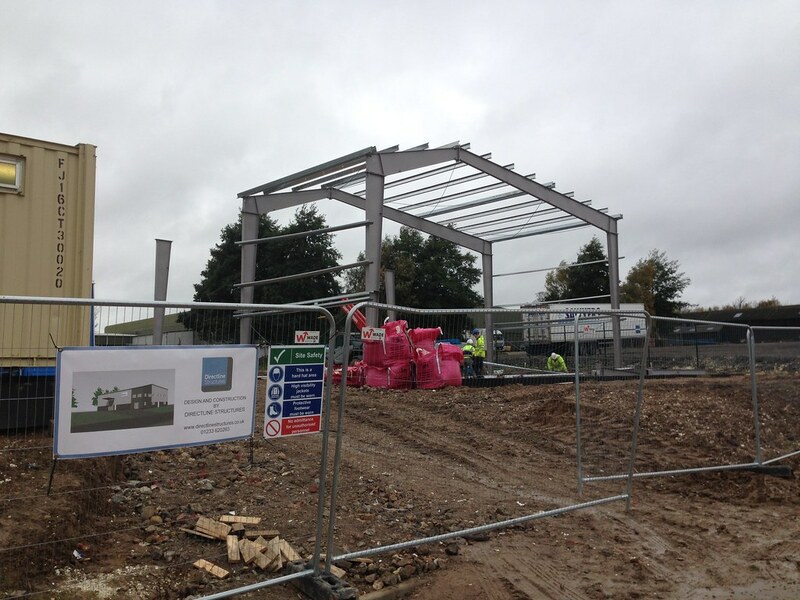 Increased demand for their products and a need to modernise premises, led to Hallmark deciding to build a new base. 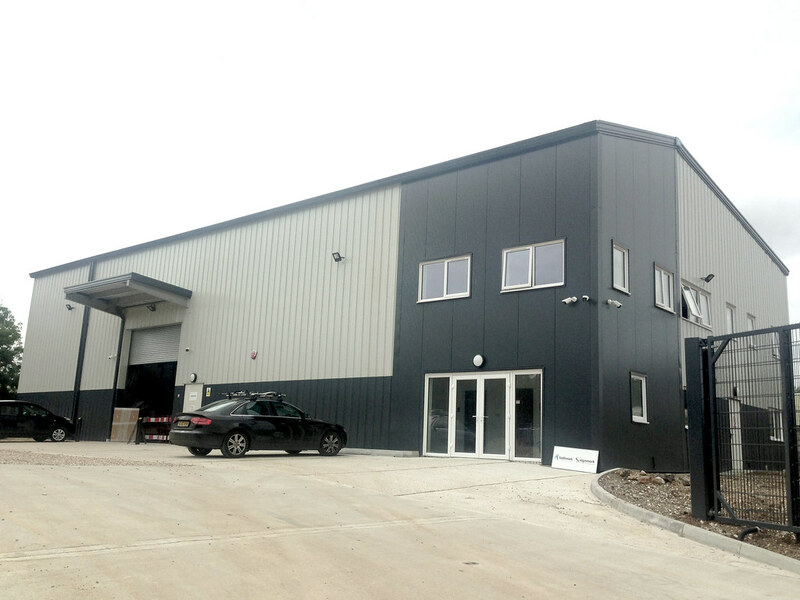 They have now moved into specifically designed, high quality accommodation, with space for future growth. The first bay of the building accommodates two floors of offices including reception, toilets, fully fitted kitchen, board room, open plan office and private meeting rooms. The spacious warehouse has been decked out with a mezzanine to further maximise the space, and the tall roof height allows for full height racking.